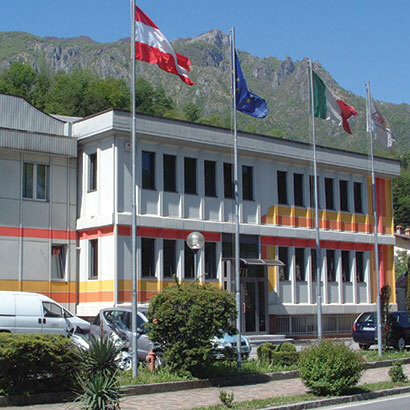 Smigroup’s origins date back to the mid-‘70s, when Luigi Nava sets up a machine shop in San Pellegrino Terme (Bergamo). The small enterprise is managed not only by the founder, but also by his four sons, who start working there at the age of 18. 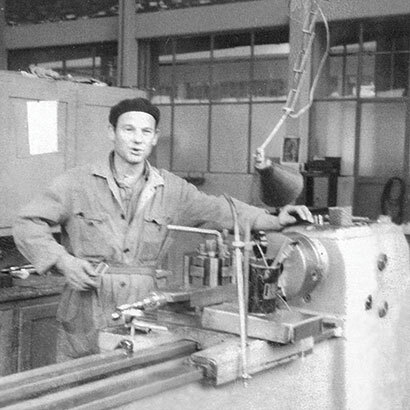 In the beginning the craftsman’s small enterprise activity is represented by machine finishings for third parties. 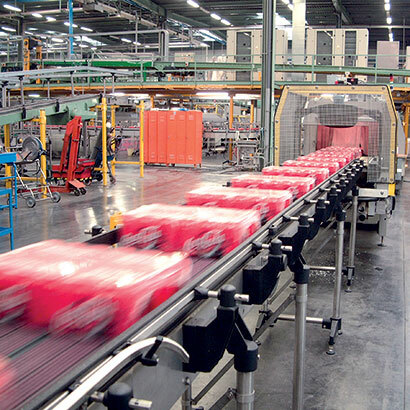 Some years later such activity is enlarged to the maintenance and repair of machinery and equipment employed in the bottling and packaging lines of the beverage industry. 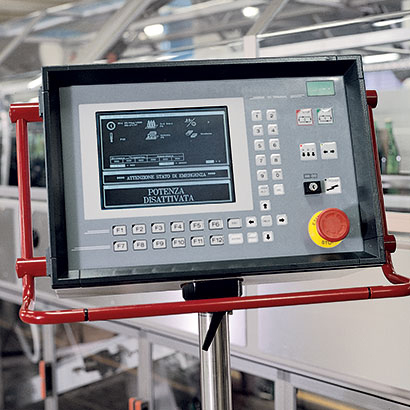 The passion for chains and gears and youth’s spirit of initiative push Nava brothers, under their father’s careful eyes, towards an even more ambitious goal: to manufacture a packaging machine characterized by innovative solutions and wide operating flexibility. 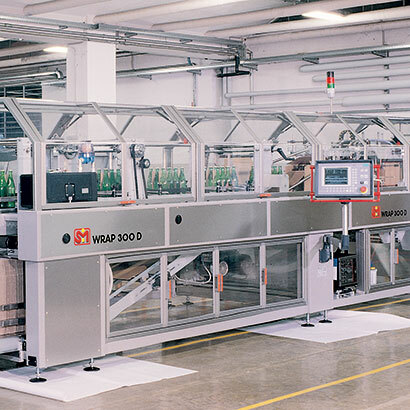 The first packer (called “shrinkwrapper”) comes to light: the APET series is born, and it immediately catches the market’s attention. 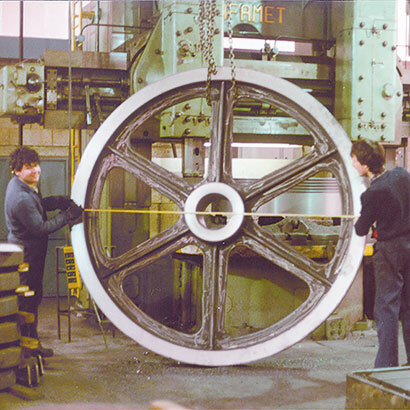 In the same year, in addition to the “F.lli Nava” machine shop, the limited liability company SMI (Sistemi Macchine Impianti) Srl is established. SMI officially presents its shrinkwrappers in the occasion of “SIMEI” international exhibition in Milan. 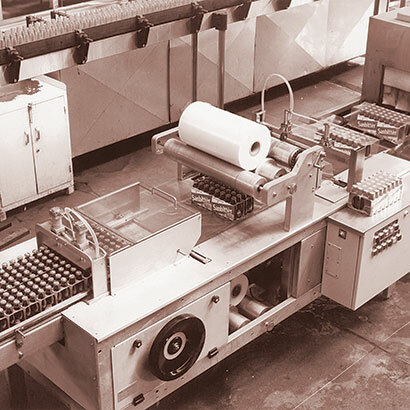 In the same year SMI also manufactures the first overlapping cardboard sleeve multipacker of the MTB series (then MP), achieving the speed of 100 packs/minute. The company’s staff raises from 4 to 11 employees and doubles in the following year. 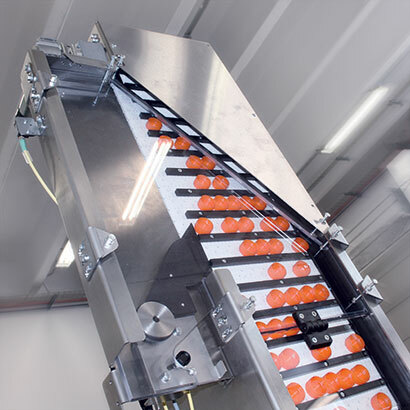 SMI presents the ABAS series of sealing bar packers. 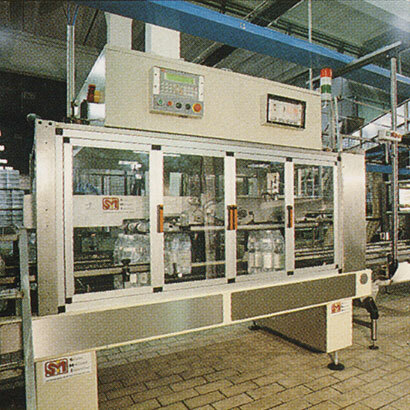 The machine production increases from 7 units in 1990 to more than 50 in 1993, including the new medium-low speed shrinkwrappers of the AF series and the new handle applicators of the MAB series. 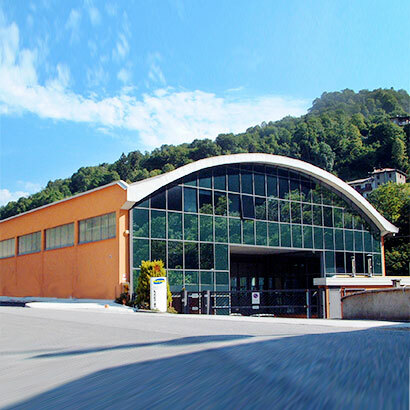 The year of the big change: SMI Srl moves its headquarters to San Giovanni Bianco (Bergamo) in a modern industrial complex of 7,600 sqm (in the following years they will become 65,000 sqm), which allows a remarkable increase in the manufacturing capacity. 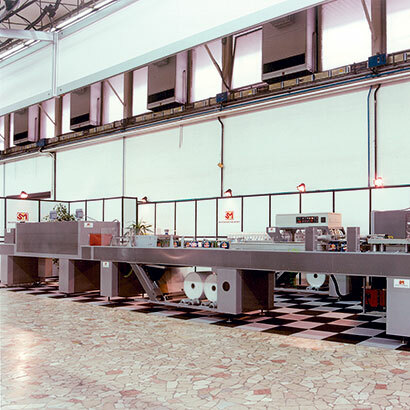 In the year 1994 the machine production bounces to over 100 units and the workforce goes up to 90 people. The transformation from S.r.l. to S.p.A. takes place and the new-born joint-stock company closes the year with a sales volume of 23 billion liras (equal to 12.8 million euros). SMI launches the new WRAP (then WP) series of wrap-around casepackers. The company’s international expansion starts: the first representative office is opened in Malaysia, and the next year Mexico City’s office is inaugurated as well. SMIPACK Srl is established as a SMI’s subsidiary company for the manufacture of L-seal hood machines and sealing bar shrinkwrappers. 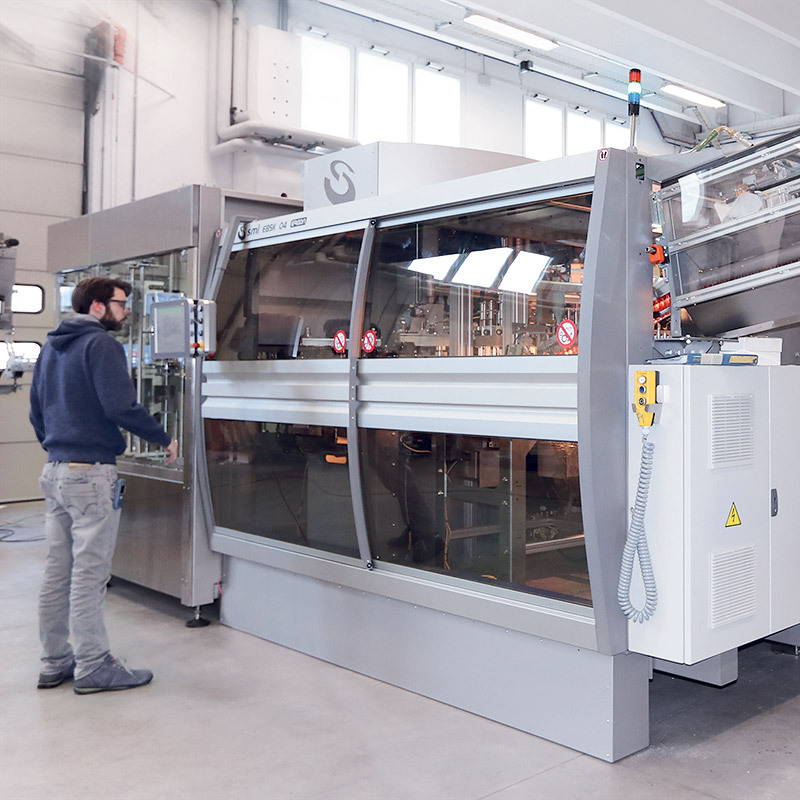 In the same year SMI launches the new models of high speed shrinkwrappers (until 360 packs/minute) of the SK series, which pioneer the machine wiring in fibre optic and a user-friendly operator interface called POSYC. 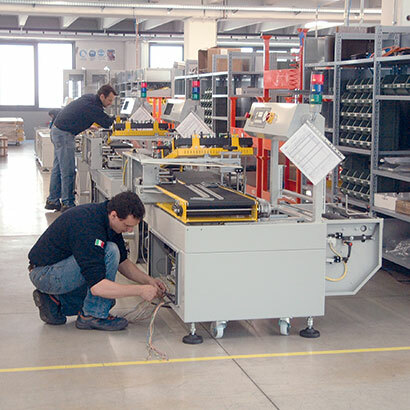 SMI starts Smiline project, a company division created for the production of conveyors and line logistics systems. SMI sets up Smiform, a unit specialized in the production of rotary stretch-blow moulders to produce PET containers. 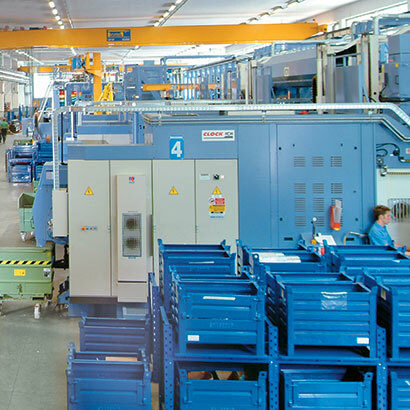 In the same year Smimec division comes to light as well for the manufacturing of moulds for stretch-blow moulders, mechanical components and machine frames. 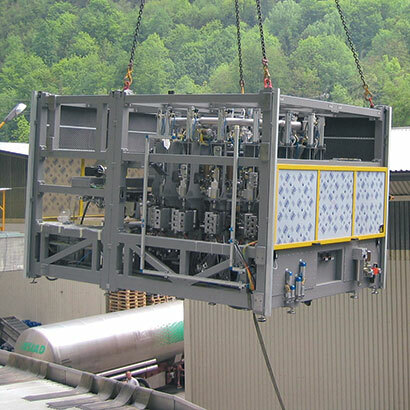 The first 6 and 8 mould models (capable of producing until 12,800 bottles/hour) of the new rotary stretch-blow moulders of SR series are installed. The establishment of a widespread network of offices abroad (to provide technical and commercial assistance) is the predominant aspect of SMI’s accomplishments in the period between the end of the ‘90s and the early 2000s; in quick sequence SMI USA (United States), SMICentroamericana (Mexico), SMI Do Brasil (Brazil), OOO SMI RUSSIA (Russia), SMI Romania (Romania), SMI POLSKA (Poland), SMI PACIFICA (Australia) branches and China (Nanjing and Guangzhou), France, United Kingdom and Malaysia representative offices are inaugurated. 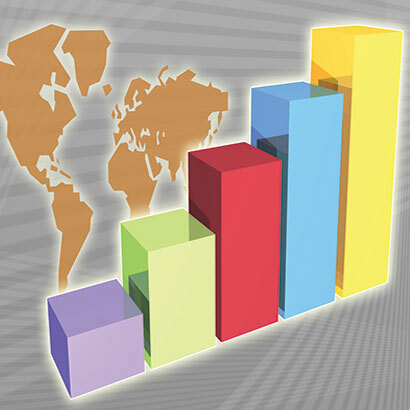 SMI worldwide success is the result of the accurate study of each single market, of the social-economic aspects of every business area and of the careful analysis of the local clientele’s specific requirements. 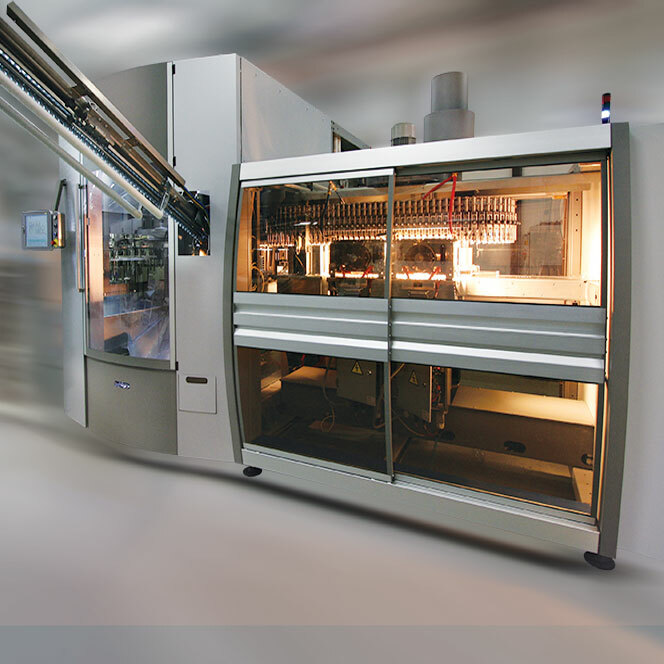 SMI produces in a year 319 packaging machines, thus becoming the world’s top manufacturer of this kind of equipment. 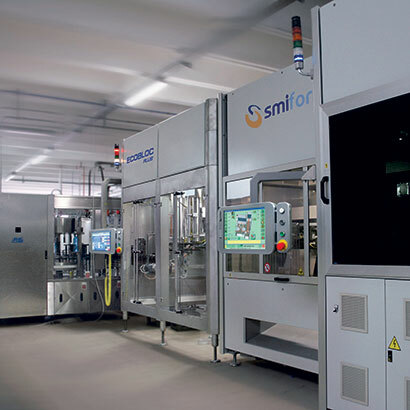 In addition to that, Smiform division launches larger and more performing stretch-blow moulders and introduces 10, 12 and 14 mould models, capable of producing up to 22,400 bottles/hour. 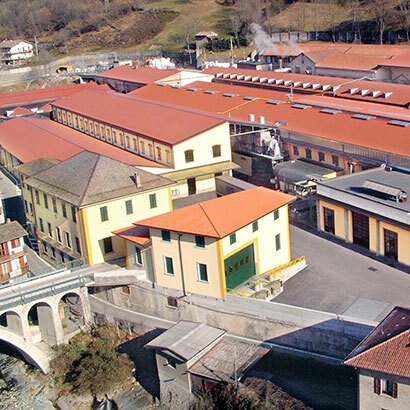 established SMIWRAP company, takes over the property and the management of Cartiere Cima papermill, an historical landmark of Bergamo’s entrepreneurship, which has been producing a wide range of food papers for over 100 years. A year of extreme importance to SMI: the 3,000th shrinkwrapper is delivered and meanwhile the first 20-mould stretch-blow moulders comes into service. SMI launches SMILAB project, Smigroup’s brand new technological center, whose activities are spread on three laboratories: “Research & Innovation Laboratory”, “Training Laboratory” and “Enterprise Services Laboratory”. 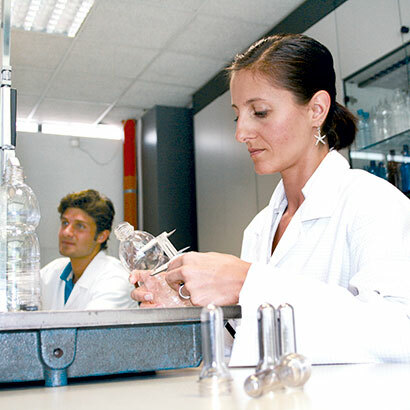 All SMILAB activities aim at innovative and sustainable solutions in the industry, energy, social and cultural domains, with high regard for emergent technologies (such as nanotechnologies). 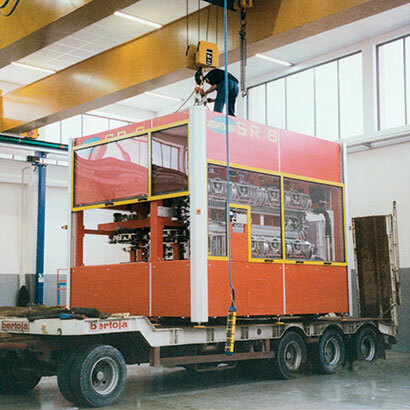 SMI sets up the new Smipal division and at Drinktec 2009 presents the APS 3000, an innovative automatic palletising system for end-of-line operations up to 300 layers per hour. 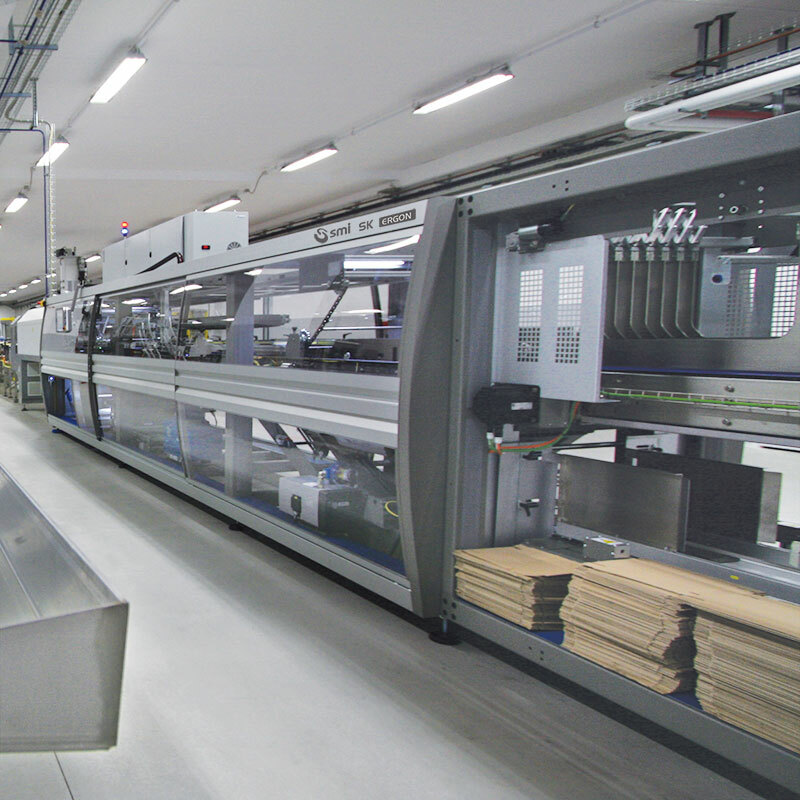 Smiform division's product range widens to include ECOBLOC® integrated systems, which gather in one single machine the functions of stretch-blow moulding, filling and capping. 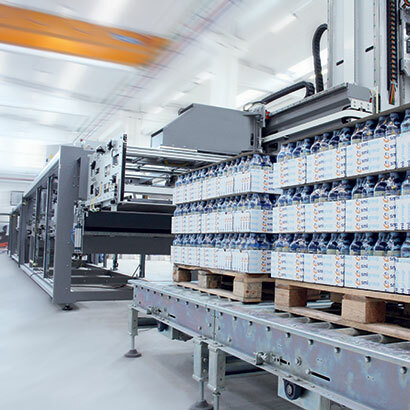 SMI installs a complete water bottling line at “Fonte Stella Alpina” production plant called SACS (Stella Alpina Cost Saving), for outputs of 14,400 bottles/hour. It features state-of-the-art technology, compact dimensions, low energy consumption and high operating efficiency. SMI celebrates its 25th anniversary with the slogan “constantly innovating the packaging industry since 1987”. 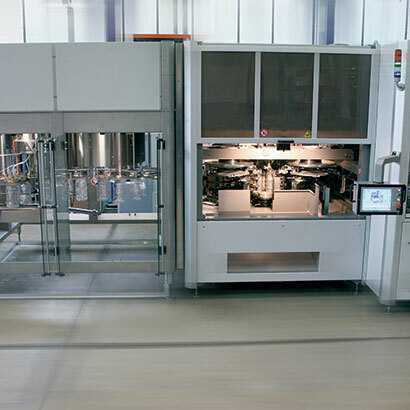 At Drinktec exhibition in Munich, SMI presents a new end-of line compact system called PACKBLOC, which gathers into a single frame the functions of secondary packaging and palletization. 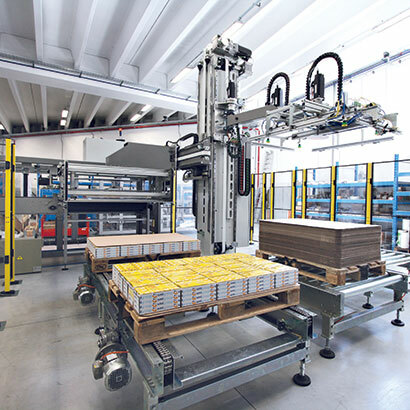 The model displayed at the show also includes a SCARA technology articulated arm carrying out the empty pallet handling and interlayer pad inserting operations. In April SMI's employees move to the new headquarters of the Group, which houses offices and manufacturing facilities on a 65,000 sqm area. 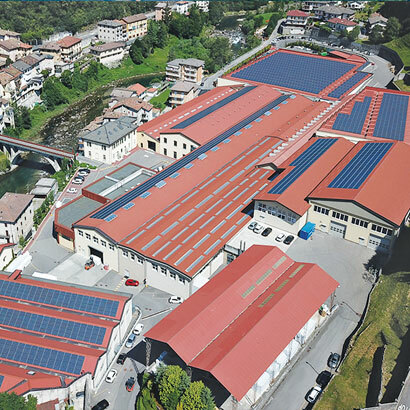 The new site, resulting from the renovation of former Cartiera Cima papermill's historical workshops, boasts modern plants generating electrical power from renewable energy sources such as water and sun. SMI launches the new ERGON series of SK shrinkwrappers, introducing onto the market a newly-conceived range of packers that combines advanced technology and ergonomic design. At K exhibition in Düsseldorf SMI presents the new EBS ERGON series of fully electronic rotary stretch-blow moulders, equipped with a new energy-saving preform-heating module and with motorized stretching rods. At Interpack exhibition in Düsseldorf SMI presents the new EBS K ERGON series of ultra-compact, fully electronic rotary stretch-blow moulders, equipped with a new energy-saving preform-heating module integrated with a blowing carousel featuring motorized stretching rods. SMI launches on the market the new EASY-CAP gravitational cap orientator, that takes caps from a hopper and keeps them in the correct position until they reach the bottling line.